This is a joyous craft in which anyone can create 3D animals, birds and anything else your imagination conjures up! You may already be familiar with felting without knowing it – that sinking feeling when you pull your favourite woollen jumper out of the washing machine and it looks like a five year old would struggle to get into it?! When wool is agitated, it sticks together, creating a solid mass. 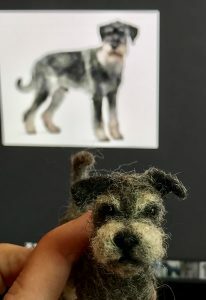 Needle felting mimics that process, but instead of agitating the wool with hot water, you are using a barbed needle – making it possible to make not just 2D but 3D objects. 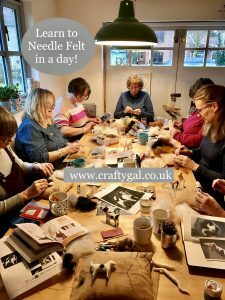 Crafty Gal’s fun workshops are an introduction to the magic of dry needle felting, you will learn the basic techniques to get you started with Denise guiding you through the process step by step. 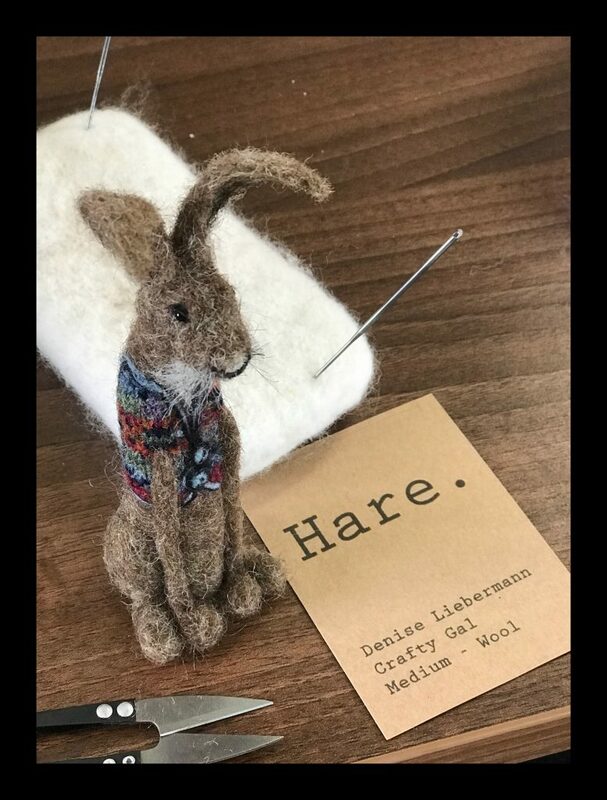 You will work through the day in a fun and creative environment, leaving with an adorable creation of your choice AND all the skills you need to continue with your needle felting ARTventure at home. Your day will start at 10.30am and conclude at 4.00pm. The price of the workshop includes all the fibre and equipment required – and also plenty of treats along the way! These workshops are suitable for beginners and deliberately limited in numbers to ensure you get lots of one to one attention through out the day. Unless your workshop is for something specific remember to bring lots of photos of your subject to refer to, from all angles. 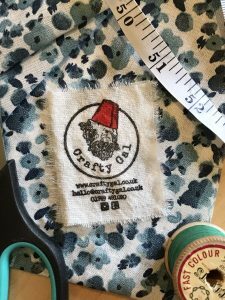 Email hello@craftygal.co.uk for more details or book via the “Book Your Workshop” page.